Is Glyphosate, as the left claims, a cancer-causing death spray or miracle treatment that has reduced the quantity of land needed to feed the world by almost 70%? The argument has been raging since the left targeted Monsanto for a commonly used weed killer that has been in widespread use since 1974. The left will continue to push this debate and they have made some progress in restricting the use of it. Last Monday, a spokesman for the German environment ministry announced that use of the weed-killer should be phased out during the country’s current legislative period, which runs for three more years. That statement came just days after a Californian jury awarded $289 million to a man who claims exposure to glyphosate caused his cancer, and little more than a week after a Brazilian judge suspended its use indefinitely while the government re-evaluates the chemical’s safety. These developments do not signal the death knell for the world’s most popular herbicide, because the world still needs pesticides. Political posturing is more likely the reason for the trifecta of blows to glyphosate. When you consider the significant upside to food production and given how heavily agricultural depends on the substance -- glyphosate is going nowhere. In case you haven’t noticed, the world’s population continues to boom. Each new baby is another mouth to feed. Available technology combined with glyphosate usage and the GMOs it’s predominantly used on still represent by far the best option for feeding the world. The fact is, there is no alternative and consumers will be hurt by this attack on a chemical that helps to kill weeds that harm production. While the German Environment Ministry attacked Monsanto, it was bought out by German agricultural giant, Bayer, for $63 billion. Despite how openly hostile Germany and the world seems to be toward Glyphosate, you can forget about Germany jumping on the left-wing bandwagon. With a constant mantra to worship science, it’s strange that the detractors of glyphosate use so little of it to back up their claims that it is harmful to human health. A lone voice in the darkness called the alarm against glyphosate in 2015. The International Agency for Research on Cancer (IARC) went against all existing studies by concluding that glyphosate was “probably carcinogenic”. This caused a fresh flurry of protests against the use of the substance and triggered the filing of thousands of court cases in the United States, the first of which came to a resolution last week. The verdict in favor of plaintiff Dewayne Johnson, a former groundskeeper who argued that spraying glyphosate caused his lymphoma, signaled a blow for Bayer, whose shares plummeted by 10%, resulting in a market value loss of $10 billion. IARC’s finding also caused the EU much consternation and hand wringing that eventually ended in nothing being done. 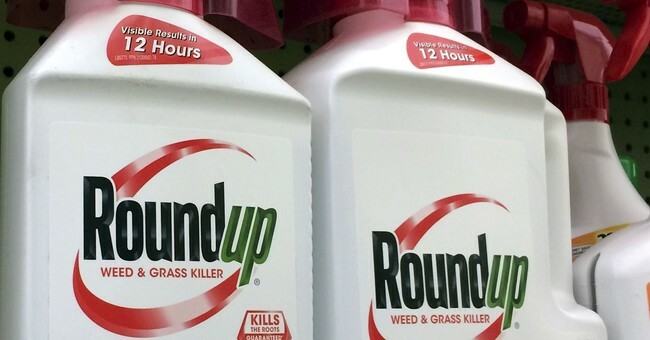 The EU reluctantly reissued glyphosate’s license last year. After months of deliberation, a November vote finally saw Germany tip the balance in the weed-killer’s favor, despite the latest comments from the German Environment Ministry. While glyphosate has been attacked around the globe, there is no denying the herbicide has become an intrinsic part of modern agricultural practice. Since 1996, global use of the substance has grown nearly fifteen-fold. 5.4 million acres of British farmland are sprayed with the stuff; 750 products in the US contain traces of it; and 40% of arable land in Germany is treated with glyphosate. This widespread use has had noteworthy effects: the use of glyphosate, combined with other farming innovations has reduced the amount of land needed to grow a given amount of food by 68%. That’s a world changing event, folks. Thanks to glyphosate we need nearly 70% less land to feed the world. There is no minimizing that victory. Countries that have tried to ban the weed-killer’s use have found the task easier said than done; both El Salvador and Sri Lanka have relaxed rulings just years after their introduction after the ban devastated their agricultural industries. Malta is the only country in the world to have stuck to its 2016 embargo, though the diminutive Mediterranean nation’s resolve can likely be attributed to the smaller, more manageable size of its farms. Even with the recent setbacks, glyphosate is going nowhere. A recent study from the University of Göttingen in Germany found that cutting out glyphosate would result in crop yield reductions of between 4% and 15%. Outlawing glyphosate would simply create a vacuum for illegal herbicides or bring about even more dangerous alternative methods. Shall we return to horses pulling wagons? How about the manual tilling methods of the 1970s and 80? Not gonna happen. Despite what might look like dire setbacks for the herbicide sector in recent days, it can’t be denied…modern agriculture simply couldn’t exist without it.